Yıldız (1973), daughter of a Turkish father and a Dutch mother. With her roots in Eindhoven and Istanbul, she has been raised on the cutting edge of two cultures. As an owner and general manager, she proved herself to be a successful entrepreneur. And as a designer of a major reorganization in the social sector, she was an excellent organizer and communicator. In 2013 she launched her own jewelry store, Callysta. The collections contain jewelry that are “just a little different”, bringing the East and the West together. The jewelry emphasizes feminine beauty and radiates originality and independence. Yıldız travels regularly to Istanbul and other inspiring places in search of young, creative designers and artists. The jewelry and accessories from Callysta are for the independent women of today. Women who know what they want and who they are. She knows she is unique, just like her jewelry. 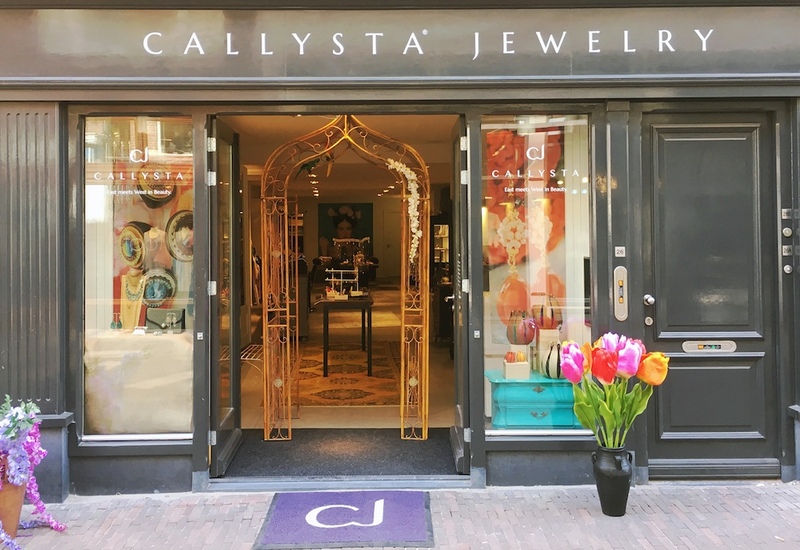 On Octobre 10th 2015, Callysta opened her first store in the citycenter of Haarlem. The best shopping city in the Netherlands! Since March 1st 2017, Callysta is located at the most authentic shopping streets in the Netherlands; Kleine Houtstraat 26 in Haarlem. We are hoping to welcome you there!